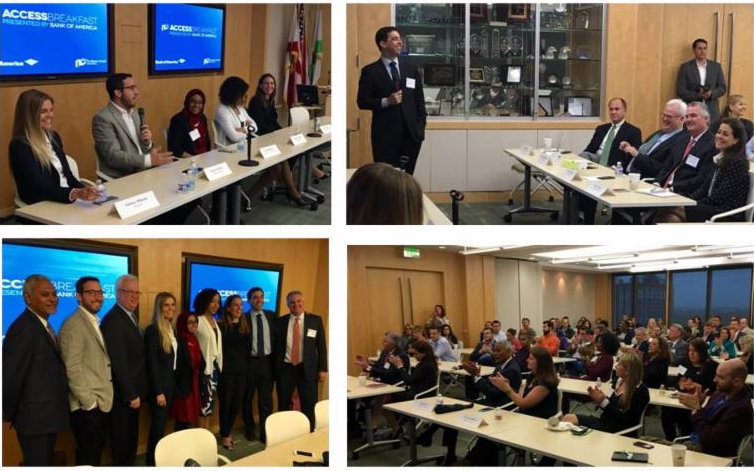 On Jan. 22 The Beacon Council partnered with Bank of America to host an Access Breakfast panel discussion on Miami’s growing innovation ecosystem and the efforts to build the talent necessary to keep the momentum going. The panel discussion, hosted by moderator – Matt Haggman, Miami Program Director of the Knight Foundation, provided more than 75 attendees with a conversation about the resources needed to continue to build innovation in Miami. Haggman, who is a One Community One Goal Co-Chair, mentioned how in the past five years, Miami has been rated a top area for innovation. Panelist included: Johanna Mikkola – Wyncode, Emma Mufraggi – LaunchCode Miami, Janelle Alexander – PowerMoves Miami, Naureen Rizvi – Venture for America – Miami and Xavier Gonzalez – eMerge Americas. Highlights included how diversity is Miami’s competitive asset and how training to become a coding professional can be nontraditional. The Beacon Council Chair Ernie Diaz, Regional President for TD Bank in Florida, described the council’s mission and goals, Gene Schaefer, Miami Market President at Bank of America, provided welcoming remarks and The Beacon Council President & CEO Larry K. Williams closed the event with remarks about Miami’s global mindset and how talent drives the decision process for companies looking to relocate. The event is part of the One Community One Goal initiative to grow and retain our community’s young professionals and entrepreneurs. The Beacon Council is pleased to announce that LA SIESTA, a Germany-based company that specializes in the development, marketing and distribution of high-end hammocks and hammock chairs from South America, established a 10,000 square-foot location in Miami, investing $1 million and adding eight direct jobs within three years. With offices in Spain and Germany, LA SIESTA has been distributing hammocks for 25 years in Europe. The company also offers a unique line of hammocks and suspended chairs for children and babies recommended by the German Federal Association for the Promotion of Posture and Physical Exercise (BAG – Bundesarbeitsgemeinschaft für Haltungs- und Bewegungsförderung). Miami-Dade County added 16,300 payroll jobs from December 2014 to December 2015 peaking in October/November with 79,500 jobs and surpassing pre-recession levels, according to statistics released Friday. The following is an unsolicited email from Pablo Gonzalez, Director of Sustainability at OHL. I write you all to let you know that I used this service for the first time while searching for a business development intern for my company, OHL Arellano, and it was a very easy process that led to us having the option of interviewing over 12 qualified candidates. I couldn’t have imagined having such a rich pool to choose from, and it was a much better pool of talent than what personal referrals produced during a month long search prior. Our local educators have done a great job of putting this together and preparing our future generations to succeed so now it is our turn to put them to work. I encourage all of you to use the TDN to fill your needs within your organization. Go tohttp://home.tdnmiami.com/employers/ and follow the simple directions whenever you have an opening, and you’ll be doing your part in ensuring a prosperous future for Miami’s next generation. If you have any further questions about it, feel free to reach out to me for any more anecdotal advice, or the program director, Steven Rojas (srojas@fiu.edu ), to help you get the most out of the TDN. As always, I hope you keep OHL Arellano in mind for any future construction needs. On Feb.17, The Beacon Council is providing Investors with a special opportunity to learn more about what key economic indicators mean for business, and to network with other Investors. The event to be held at The Beacon Council at 8:30 a.m. will include panelist: Dr. Tony Villamil, Principal, The Washington Economics Group; Dr. Jaap Donath, Senior Vice President, Research and Strategic Planning at The Beacon Council and Tony Graziano, Senior Managing Director, Miami, Integra Realty Resources. In addition, Investors will soon receive an Economic Update, snapshots of Miami-Dade County’s employment, real estate and trade trends that include data and background. We welcome questions, comments and feedback about the update during the preview event. 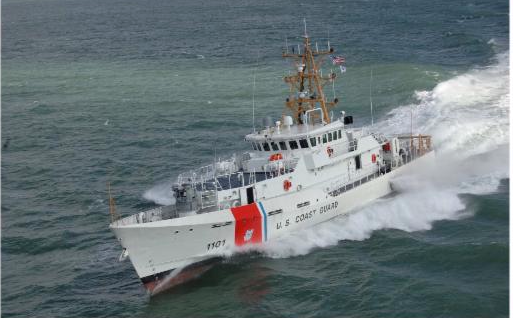 Members of the Miami Coast Guard are looking forward to seeing the new film The Finest Hours as an homage to their own ship named the Bernard C. Webber, USCG District 7 fast response cutter. Military Miami-Dade, a program of The Beacon Council, attended and were proud sponsors of the renaming commissioning ceremonies of The Bernard C. Webber on April 16, 2012. 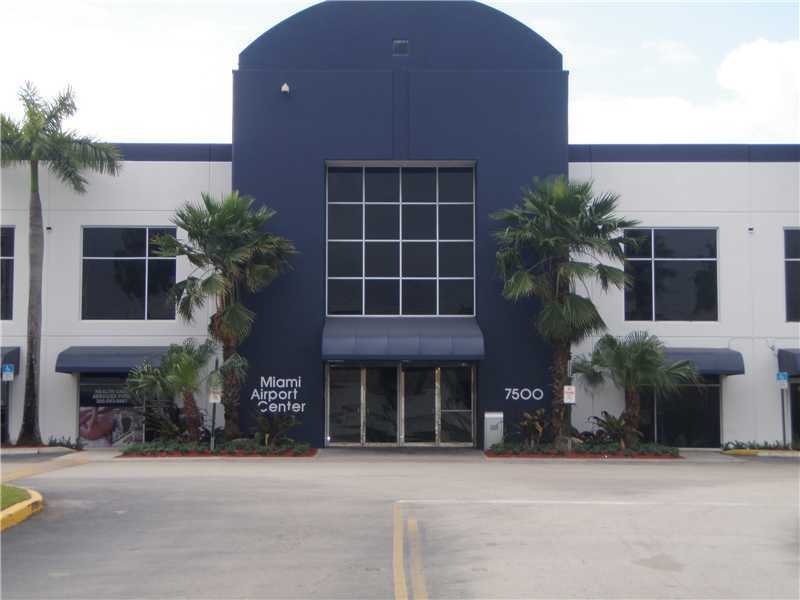 We are pleased to report that our building’s parking garage at 80 SW 8th Street reopened last week. The entrance is now located only on 8th Street. The number of startups in South Florida registered on AngelList, a platform for startups and investors, shot up 46 percent in the past year, to more than 1,600 companies. ‘The Pete De La Torre Business Hour” heard each morning Monday through Friday from 8 to 9 a.m. will air the next Economic Development interview with The Beacon Council on Monday, Feb. 1. Tune in for the live show live onwww.Petebizradio.com and on iHeartRadio.